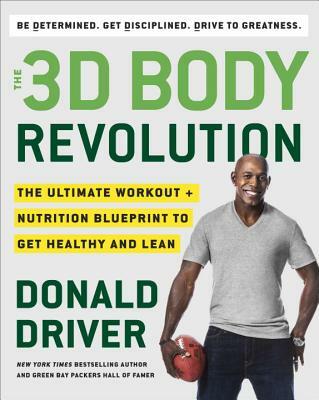 DONALD DRIVER was a receiver for the Green Bay Packers NFL franchise, where he played from 1999 until 2012. He holds the all-time team record for receptions and receiving yards. He lives in Flower Mound, Texas, with his wife, Betina, and his son and two daughters. "Very few people can motivate and inspire lifelong change like Donald can! He worked his magic on Extreme Weight Loss. And now, the world will get to experience his one-of-a-kind coaching through this proven nutrition and workout plan, and of course his 3 D’s! It is clear Donald poured all of his knowledge, personal experience, and passion for life into this book. Read and re-read these pages carefully, and get ready to unleash the beast within!" – Heidi Powell, trainer on ABC’s “Extreme Weight Loss"